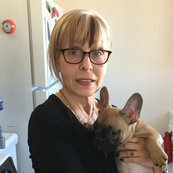 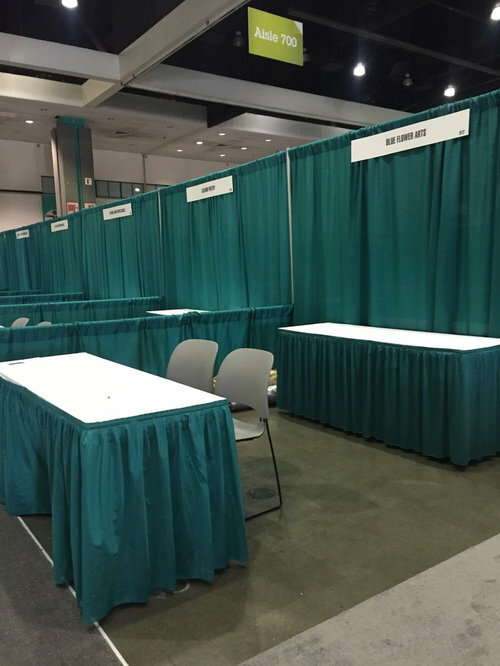 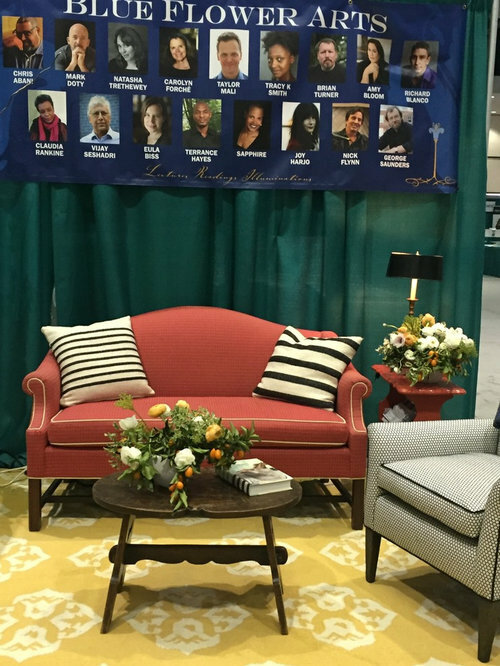 A prestigious east coast literary speakers agency wanted their booth at the recent AWP meeting at Los Angeles Convention Center to look and feel more like a cozy den, or salon. 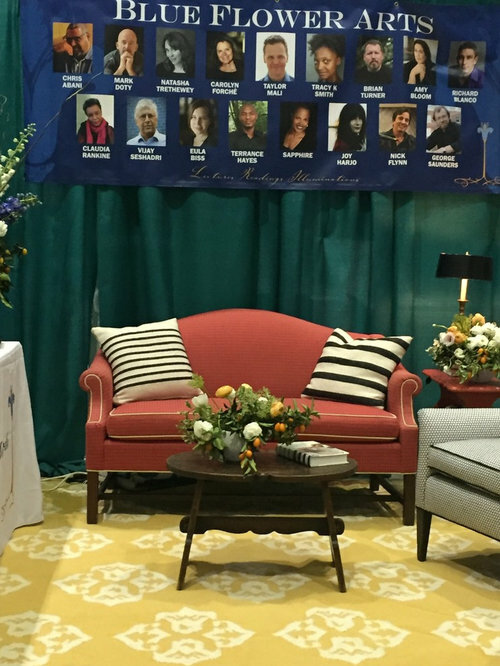 With a minimal budget, we staged it to look just that way. 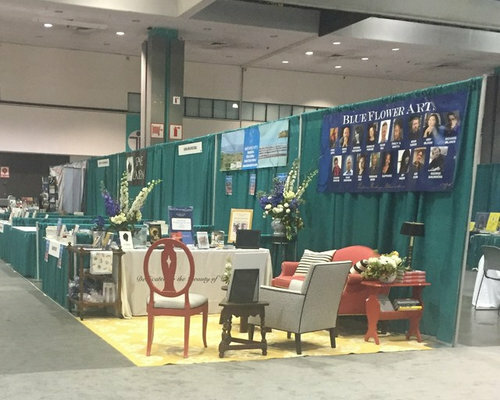 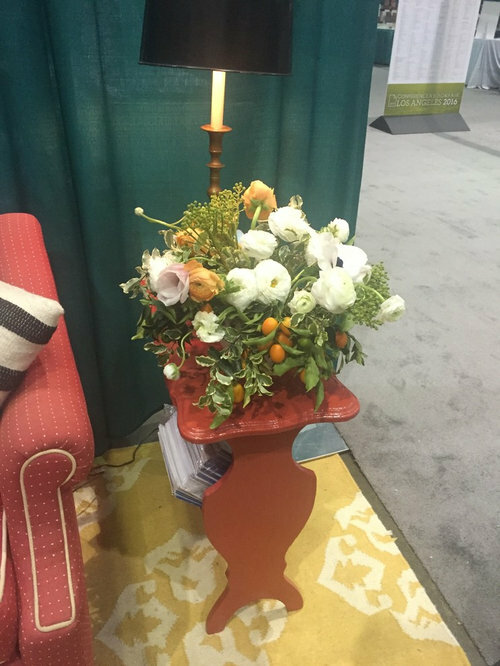 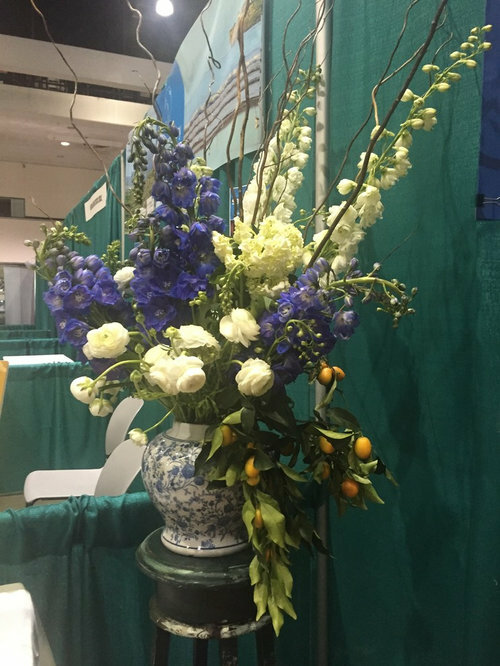 The booth stood out and received many compliments during the 3-day long convention. 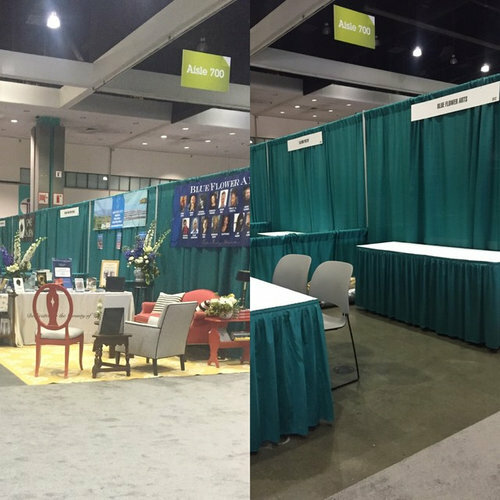 Here is a quick After next to the Before! 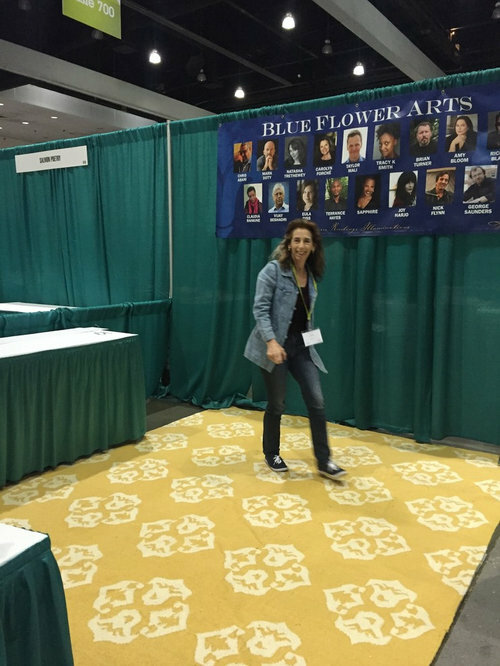 Here you see the corner booth for Blue Flower Arts standing out amid all the Plain Jane booths with nothing special going on! 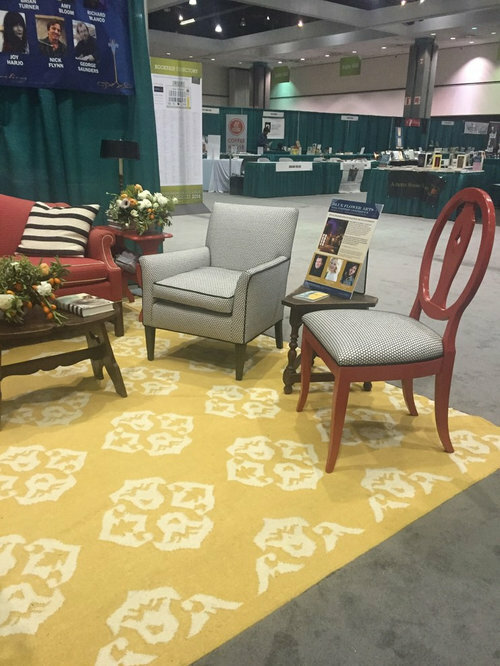 A West Elm rug is almost the exact size of the booth, creating the impression of custom decor! 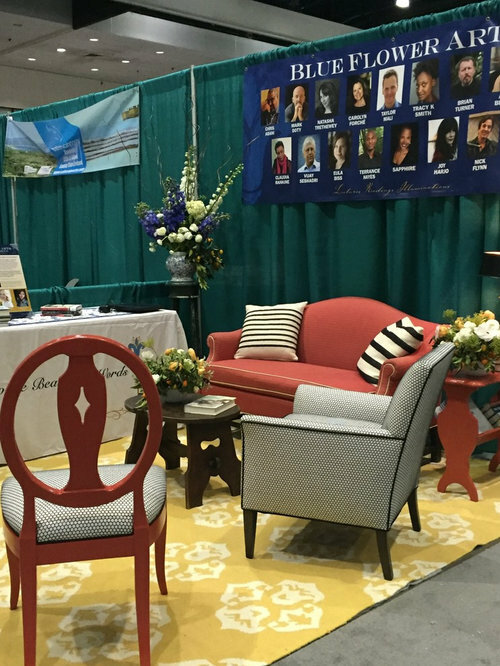 The armchair to the left is a vintage Art Deco piece, reupholstered in a wonderful basket weave pattern. 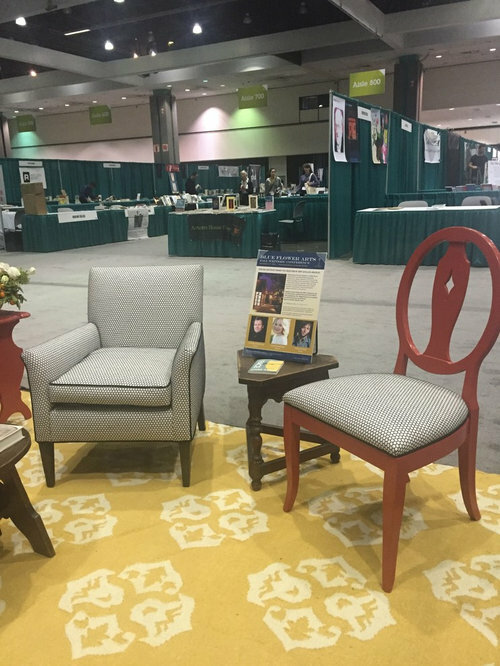 The other chair was found on the street, and transformed by using the same fabric for the seat, and several coats of Farrow & Ball's Blazer. 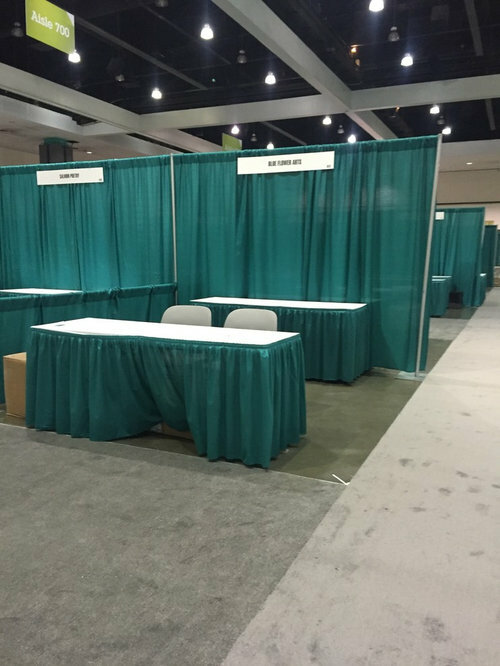 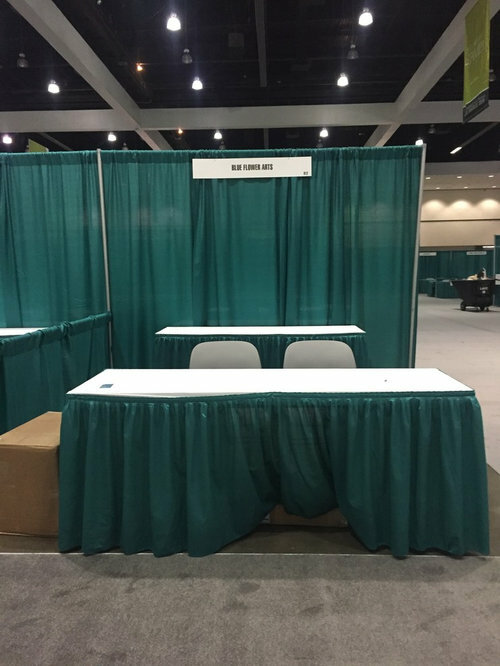 BEFORE -- a typical convention center booth with no flooring -- no anything!